Traveling with a dog can be hard on you and on them, especially when it comes to going by plane. If you are traveling by car, however, there will be less stress for all concerned. 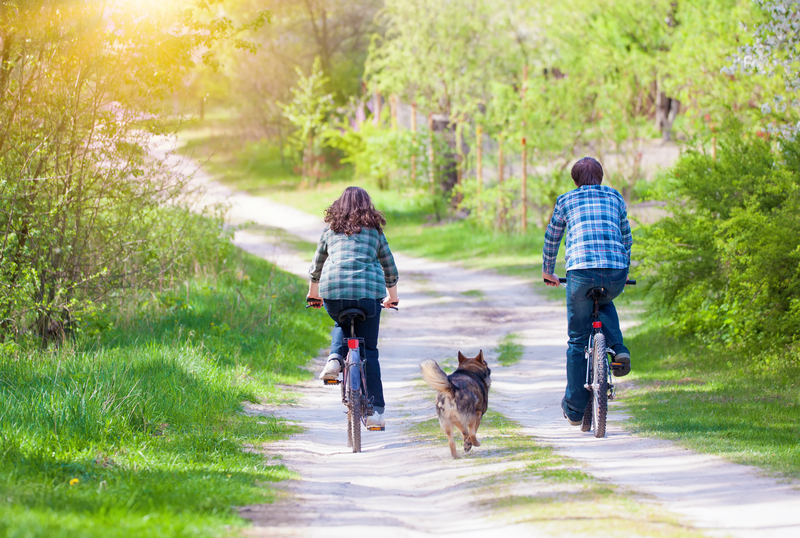 When you’re planing your next getaway with the family dog, there are more things to do than you think. Here are some wonderful places where your dog can have the time of their life. The sunny shores of California are a top spot for anyone wanting to spend the day in the sand. In Del Mar, California they have a special place where dog can enjoy the surf. To the locals North Beach is also known as Dog Beach. Nine months of the year, dogs are allowed off their leash along the entire two mile stretch of beach in addition to the City’s two major parks, Seagrove Park and Powerhouse Park. The city then requires leashes for them from June 15th until Labor Day. One thing you might not see everyday is surfing dogs. If your canine friend ever wanted to give the California waves a try, Good Kharma Surf Instruction gives surf lessons to dogs. Lessons are $75 for an hour long and they work to get your dog comfortable and confident in the water. They even have their own surf champion, Kihei (key-hay), their Chihuahua-mix. 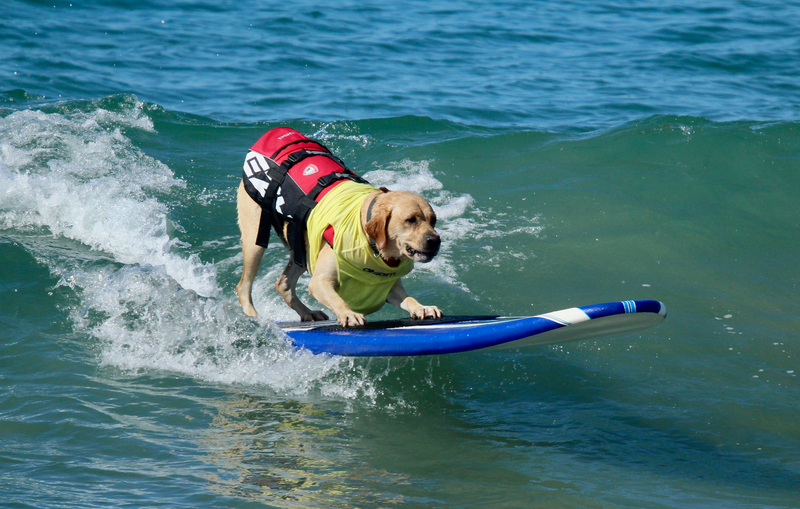 And if you think your dog has some skills, enter them in the annual Surf Dog Surf-a-thon, held in September. There’s plenty to do in one of the biggest cities in the USA. Chicago, Illinois is considered to be the most pet friendly city in the U.S. with over 20 dog friendly areas, which are designated off-leash sections within the city’s parks and beaches. To find the Fido to Go food truck that sells delicious handmade dog treats, just follow it on Twitter to see where it’s parked each day. 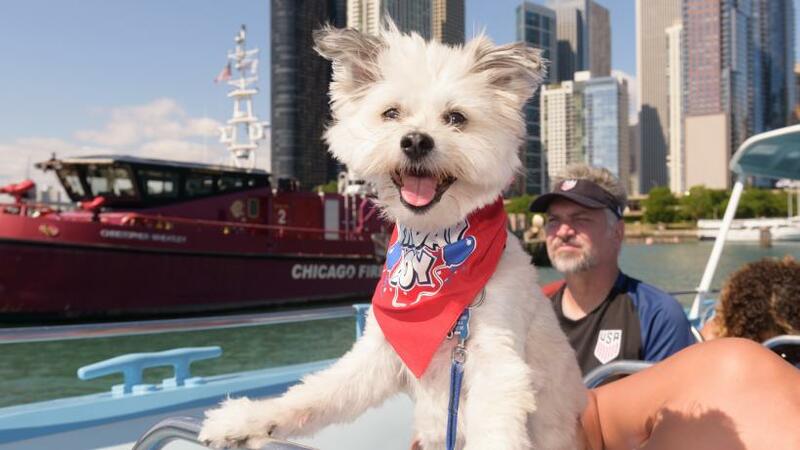 After your trip to the park head to the port to take a cruise around Lake Michigan with Mercury Canine Cruise, a 90-minute tour that highlights pet-friendly attractions around the city. Cruises are held on the weekends from July to September and is $8 for a dogs, $36 humans. 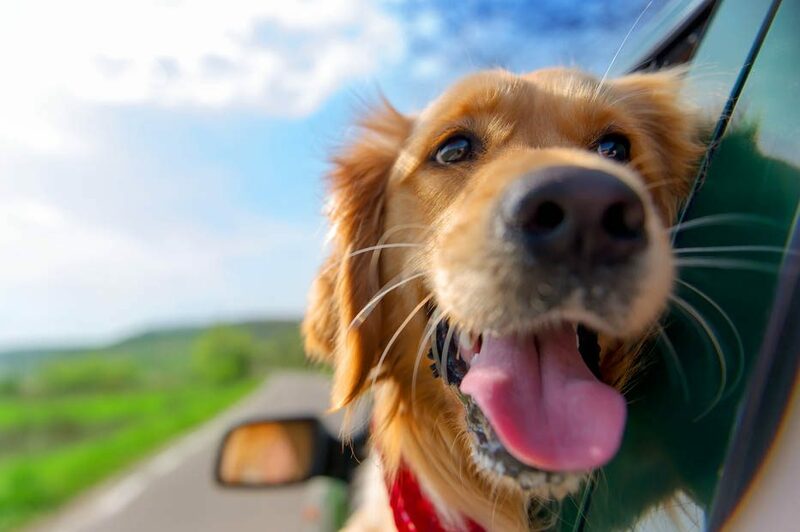 Take your four legged friend on a trip down to the Jersey Shore. 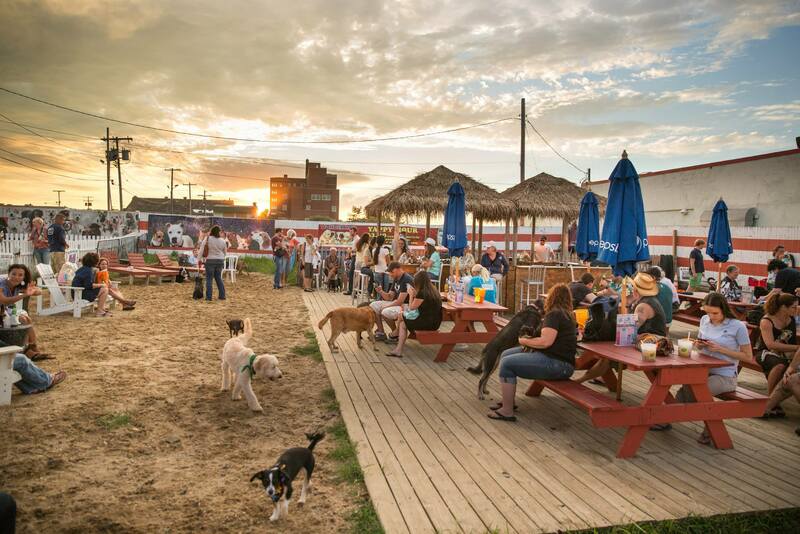 Asbury Park is one of the most popular beach destinations in New Jersey and there are plenty of dog friendly places to go. The 8th Avenue beach allows dogs to go without a leash during off-peak hours in the summer and any time during the rest of the year. Enjoy a cocktail with your dog at the Wonder Bar’s Yappy Hour. Sitting just across the street from the main boardwalk makes it the perfect location to hit after spending the day at the beach. Dates and times for Yappy Hour can be found on their website along with the rules and regulations for dogs who attend. With a city as big as New York, it is no surprise that there is a ton to do for any pet. With over 40 off-leash dog parks in the city, you can spend a relaxing day outside or attend any number of special events that take place throughout the year. 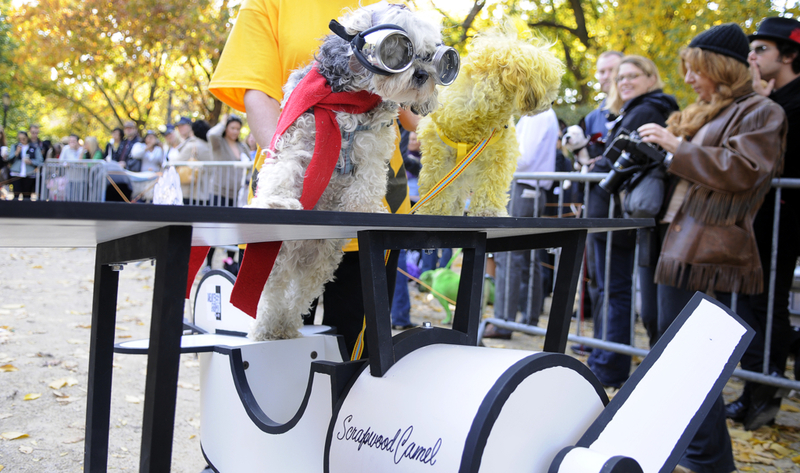 One of the biggest is The Annual Tompkins Square Halloween Dog Parade. It’s been called the largest dog costume party in the world. Pooches strut there stuff on the runway to compete for Best in Show. Entry to the contest is free, but a small donation is suggested. Take a trip Prospect Park in Brooklyn to attend FIDO’s Coffee Bark. It usually takes place the first Saturday of each month and brings together hundreds of dogs and their owners for coffee and treats in one of Brooklyn’s most popular parks. This event is entirely free and sponsored by FIDO (Fellowship in the Interest of Dogs and their Owners). Home to more than 65 dog parks, Toronto Canada is a great place to plan a getaway for any pet. Go hiking in High Park, one of Toronto’s largest inner-city park. It has many lengthy off-leash trails taking you through the woods to what is known as Dog Hill with a dog drinking fountain, benches, and plenty of space to run wild. While in the area attend the largest outdoor festival for dogs in North America, Woofstock. Dogs of all sizes are welcome to come to the party. It takes place in Woodbine Park every spring. There are fashion shows, talent contests, shopping, games, and other fun activities for both animals and animal lovers.